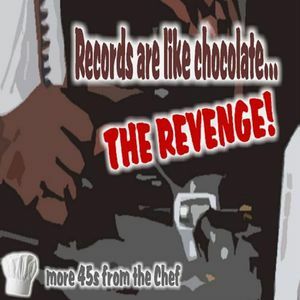 Records Are Like Chocolate... the REVENGE! The Dixiebelles, Bill Cosby, Rare Earth, The Originals, Esther philips and more. It&apos;s time to finally come out of hiding... after a year of stress, I feel good enough to go for one more run. Let&apos;s begin here, the same way I did three years ago. Thanks to everyone who jumped on board over the past year; your continued patience and patronage really means a lot. Here&apos;s another ode to two of my favourite guilty pleasures to get things moving in the right direction. There&apos;s more where that came from so I&apos;ll try not to be too much of a stranger. this mix rules! I&apos;m in hiding right now, actually. so props for cultivating your own self preservation. Excellent... good to have you back ! Glad to see you back Fam!